Just like our human elders, older dogs often need a little more care and attention than those with the robustness of youth on their side. But how do we define a ‘senior’ dog? 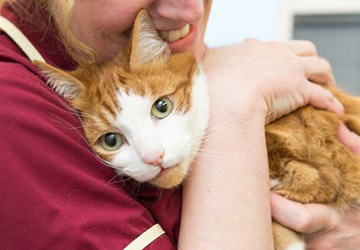 In veterinary terms, it simply means an ageing pet – but on average, it tends to be when they enter the last 25% of their expected lifespan. This varies depending on a dog’s breed, size, nutrition and environment. 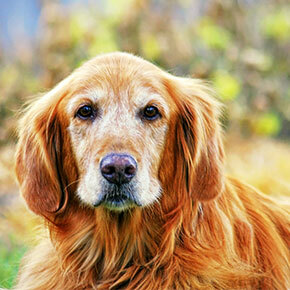 Larger dogs tend to age faster, so some may be considered senior from around 7 years of age. With age, a dog’s needs change and they become more susceptible to particular ailments and diseases. 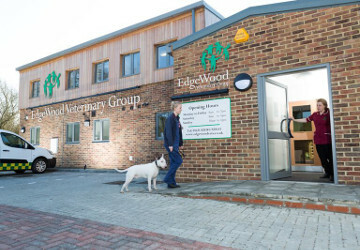 If you have any age-related concerns about your own dog, please don’t hesitate to book a check-up with us, so we can help you assess their condition and suggest ways to make life easier for both of you. Arthritis – As cartilage between joints becomes worn with age, the joints can become inflamed and painful. You may notice your dog showing signs of pain when walking or standing, such as limping or reluctance to move. We can help by suggesting medication, as well as changes to diet and exercise. Diabetes – This commonly starts to occur in dogs around 8-9 years of age and is more common in some breeds than others. The symptoms include increased thirst and urination, fatigue, weight loss and recurring infections. 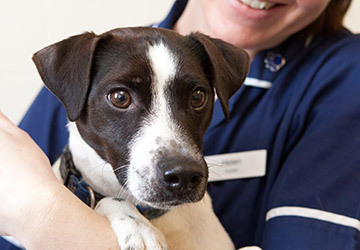 If you’re concerned, we can test your dog and recommend ways to improve their quality of life. Gum disease – This can occur at any age, but tends to become more severe in later life. Gingivitis causes redness and irritation to gums as a result of inflammation; and can lead to periodontal disease, which inflames the deep supporting structures of a dog’s teeth. If you spot any problems with your dog’s teeth or mouth, book an appointment with us so we can recommend treatment. And remember, if you have any concerns at all, give us a call on 01621 828381 to book an appointment.